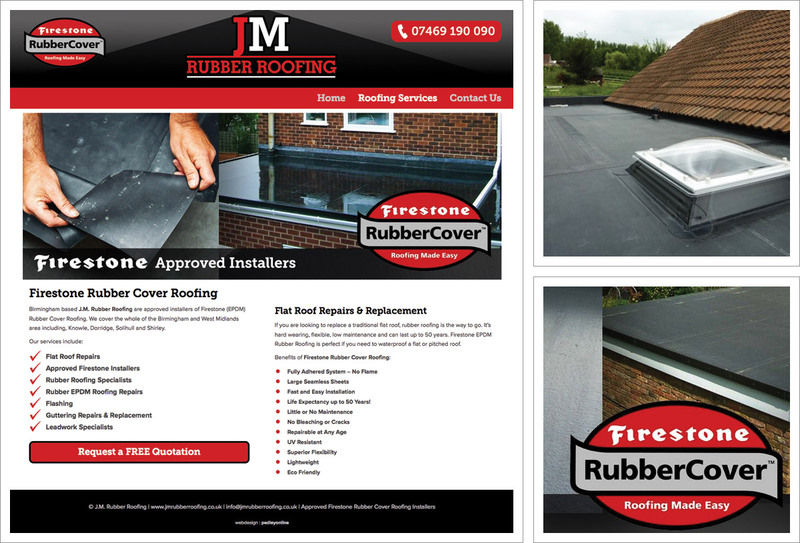 Approved installers of Firestone Rubber Roofing, JM Rubber Roofing operate in Birmingham and the West Midlands, Solihull, Knowle, Dorridge. We helped JM Rubber Roofing identify and secure their website domain name, develop a company logo and we then went on to use the new logo design on both their website and business cards. A small responsive/mobile friendly website which can be developed with new pages and content as required in the future.